Cutting: One of our first place wines is a terrific Zinfandel with cinnamon, blackberry, oak and coffee characteristics. 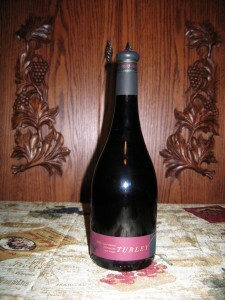 The Turley Old Vines Zinfandel tied for first place in our California tasting. 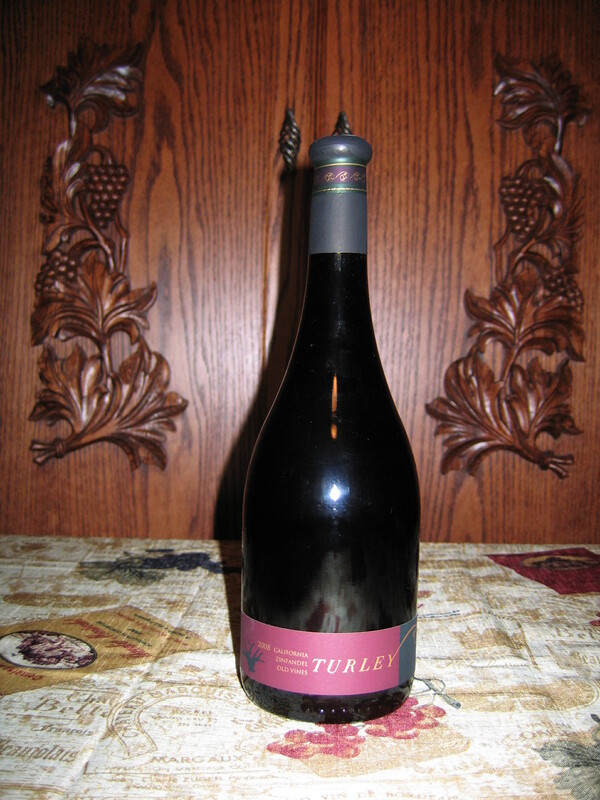 It has a wonderful nose of cinnamon, blackberry, oak and coffee aromas. The same characteristics appear on the palate along with some sweet fruits and cola flavors on the finish. This wine is medium to heavy bodied and exhibits a nice long finish. All our tasters ranked this wine in the top two in our tasting. Nearly all Zinfanatics should enjoy this terrific wine.